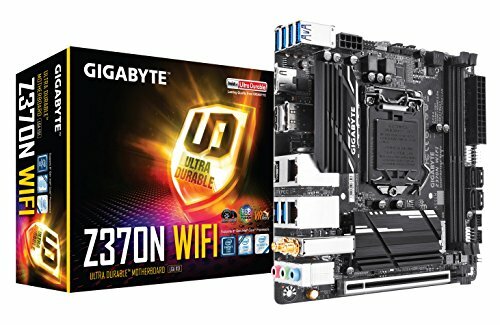 Anyone interested in building or repairing a computer will need a motherboard and case. However, shopping for motherboards and cases results in a multitude of options ranging from different types of ATX and ITX motherboards. These motherboards differ in feature, cost, and form-factor (size). Importantly, the differences in form-factor also determine which cases can fit the motherboard. An overview of the differences in motherboards and cases, and understanding the differences between Mini ITX Vs Micro ATX can help you distinguish which parts work best for your build. 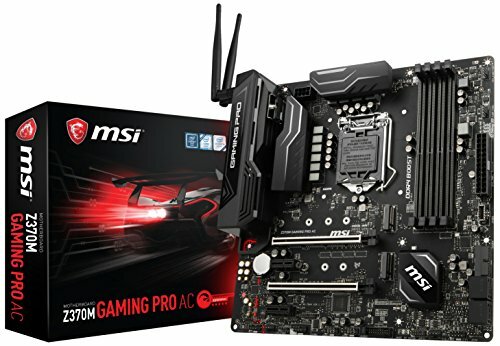 Is Micro ATX the Same as Mini ITX? Standard ATX motherboards are larger in size, and this enables them to have more PCIe lanes. This trait means that standard ATX motherboards work best for multi-GPU setups or computers that use multiple PCIe input devices. Micro-ATX motherboards are similar to standard ATX motherboards, but micro-ATXs are a few inches shorter in length. The advantages of micro-ATXs is that these motherboards fit smaller form-factor cases if necessary. Mini-ITXs are even smaller motherboards with a length and height shorter than both micro-ATXs and standard-ATXs. The micro-ITXs usually have only one PCIe lane and are compatible with far more small form-factor cases. What is the Difference Between ITX and ATX? The differences between ITX and ATX are size, PCIe lane build, and RAM capacity. In turn, these differences determine what type of PC case you can use for your motherboard. For example, VIA Technologies first developed the ITX for use in small-configured computer systems, and ITX has less RAM than other motherboards. Intel developed the ATX for single-GPU PC builds, and it has more RAM than other miniature motherboards. 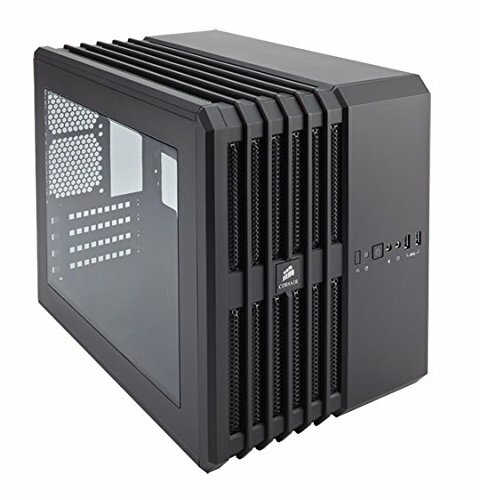 Will a Mini ITX Fit in an ATX Case? From a technical standpoint, any size motherboard into a larger case. Large cases can accommodate standard, medium, and small motherboards. From a visual standpoint, however, you might not want to put a mini-ITX motherboard in a large case because the components can look crammed into one corner of the case. While you can fit small motherboards into large cases, it is important to note that the opposite scenario is not possible. In other words, you cannot put standard-ATX motherboards in micro-ATX cases, and you cannot put standard-ATX and micro-ATX motherboards into mini-ITX cases. Now that you understand the differences between micro-ATX and mini-ITX motherboards, you can choose the best motherboard (and matching case) for your system based on desired features and functionality. Whether gaming or building, the following guide to corresponding cases and motherboards can help you select the best pair for your computing needs. 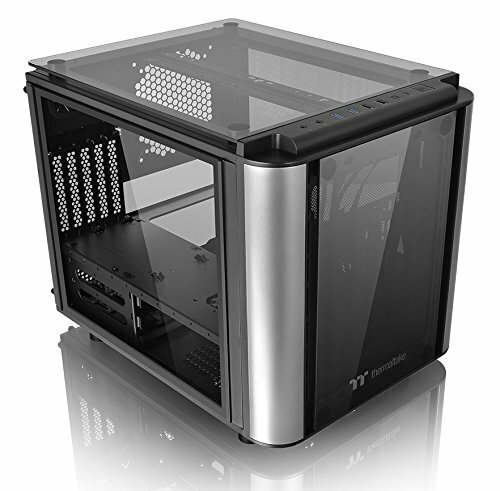 Thermaltake is one of the leading manufacturers in computing components. 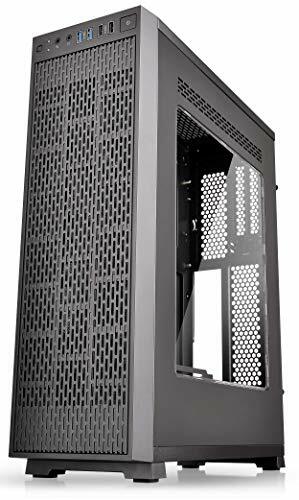 The Thermaltake Level 20 VT is a streamlined, modern case that protects the chassis while giving you access to all components. It has four scratch-resistant glass that give you a clear view of the internal features. The compact design holds a micro-ATX motherboard while leaving a smaller footprint. 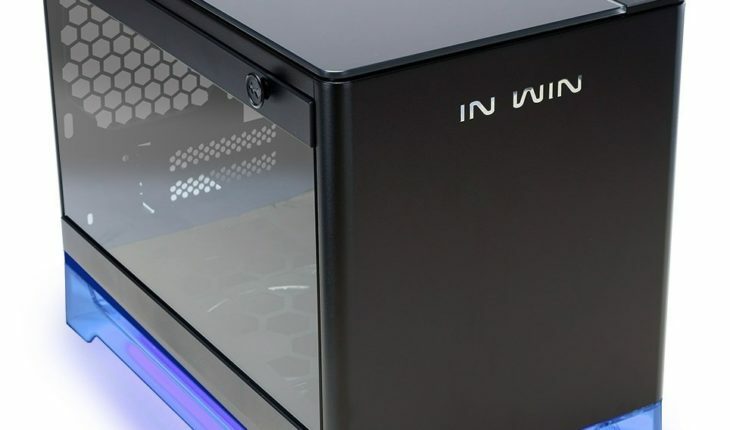 Internally, it has a has a spacious upper chamber for the motherboard and PCIe components along with a lower chamber for the PSU and drive bays. The removable 2.5-inch and 3.5-inch drive device racks design enable multiple configurations. Thermaltake Level 20 cases also include two USB 2.0 ports, two USB 3.0 ports, and an HD audio port. Thermaltake Core G3 Slim Case is among the most flexible motherboard cases. The compact design fits easily on office desks or in the nooks of console rooms or living rooms. In addition, this case comes with padded braces and travel foams for computing on the go. Dual placements enable both horizontal and vertical layout options, and the case is also expandable with two 3.5-inch or 2.5-inch drive bays. The Core G3 Slim has two 120mm front fans for ventilation and multiple I/O ports for usability. The Corsair Carbide Series Air 240 features a cutting-edge design specifically focused on airflow. Its cubic design has an internal layout receptive to intake fans that provide cool air to the components that produce the most heat. 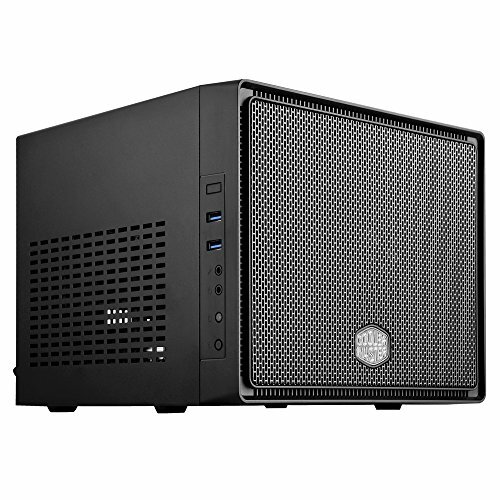 Although perfect as a micro-ATX case, this compact case is the same size as many mini-ITX cases. This compact size gives you flexibility in setup – you can customize chassis orientation as a standard tower, an inverted tower, or as a desktop. Tool-free 3.5-inch and 2.5-inch drive bays let you expand without needing a screwdriver, and the CPU backplate cutout enables upgrades without removing the entire motherboard. The Air 240 also has pre-drilled holes for 240-millimeter radiators or room for installing a front 240 millimeter radiator (for use with dual GPUs). The MSI Performance series supports eighth generation Intel processors for socket LGA 1151. Designed for professional gaming, this motherboard features optimized PCB and power delivery with load-line calibration. 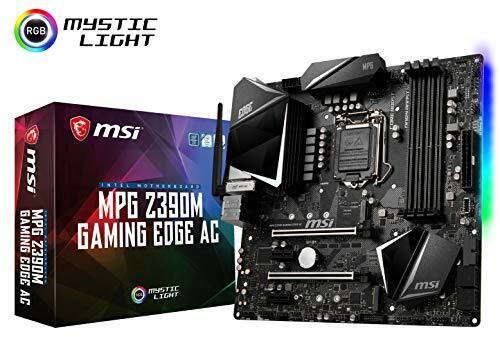 Specifically, this MSI Z370 has smart settings that you can program through the Mystic Light App or your connected mobile device. These settings include power phases, fan and cooling controls, and installed accessories. Chemi-Con audio capacitors enable studio-quality sound settings, and VR hardware allows you to use mixed or augmented reality programming. Specifically designed for connectivity and speed, the Asus ROG Strix comes with built-in WiFi, Gigabit LAN, Bluetooth V4, and USB 3.1. 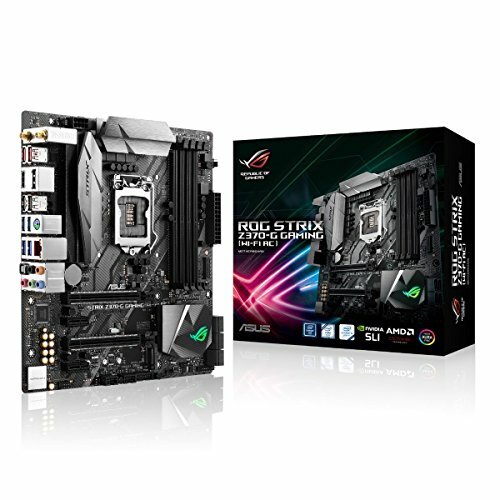 Since overclocking problems are common issues with micro-ATX boards, the ASUS Strix addresses this with auto-tuning and a direct cooling system. With a compact metal frame, this micro-ATX board can also accommodate heavyweight GPUs. In addition, AURA Sync RGB provides broad-spectrum color lighting across connected devices, and the eight-channel HD audio provides immersive sound. A frequent issue with Intel motherboards is that there are not mutually compatible with eighth and ninth generation processors. MSI addresses this issue with the Z390M Gaming Edge micro-ATX model. Designed for professional gaming, this micro-ATX is compatible with both generations. It includes two TURBO M.2 for faster loading times and two TURBO USB 3.1 (Gen2) for connecting to other devices. In addition, patented “heatsink” technology helps prevent overheating for optimized performance. The SilverStone Slim Case is ideal for those who need versatility in computing. With both vertical and horizontal orientation options, this case can fit into nearly any environment or scenario. 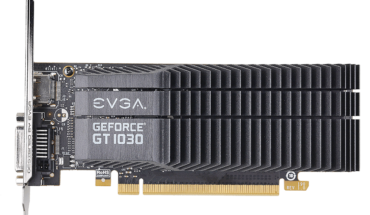 It supports cards of up to 13 inches (330mm), making it suitable for higher-end GPUs. This case also supports AIO liquid cooling and has a streamlined airflow design to prevent overheating and dust buildup. 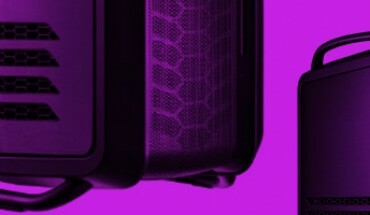 As the name suggests, the Cooler Master Elite features a design focused on excellent airflow. This mini-ITX case has a complete mesh panel for front to back CPU cooling, and it also supports using a 120mm water cooling system in the front. 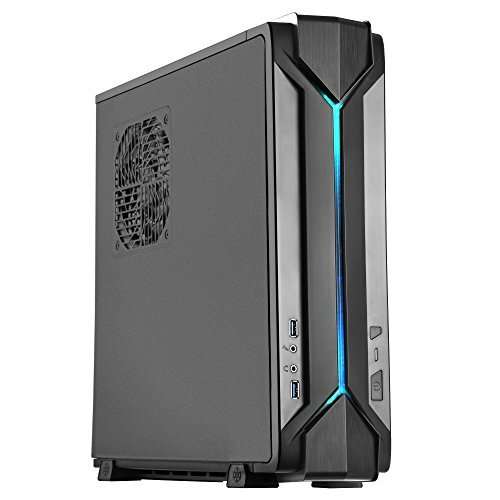 Compatible with mini-ITXs, this case has a tested design for use with HTPC, steam box, or compact gaming builds. Those interested in smart technology may have found the ideal case with the NZXT H200i. This mini-ITX case is a CAM-powered smart device with built-in digital fan controller and LED lighting, enabling both automated cooling and visual personalization. 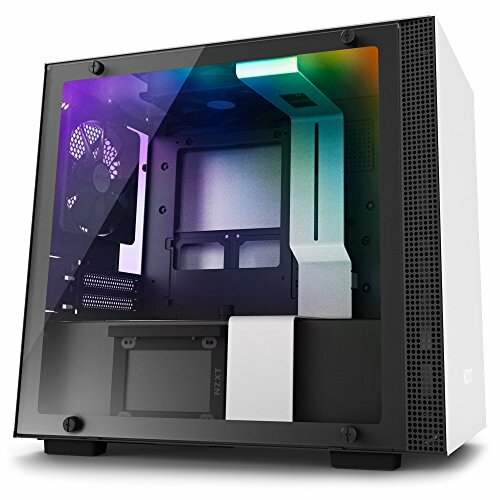 The case also has a tempered glass panel for design visibility and a pre-installed cable management system. With its wireless design and built-in HDMI support, the GIGABYTE Z370N mini-ITX is great for building and computing enthusiasts. This performance motherboard can operate in PCIe x16 slot bifurcation in 2×8 mode with riser card, making it suitable for overclocking. 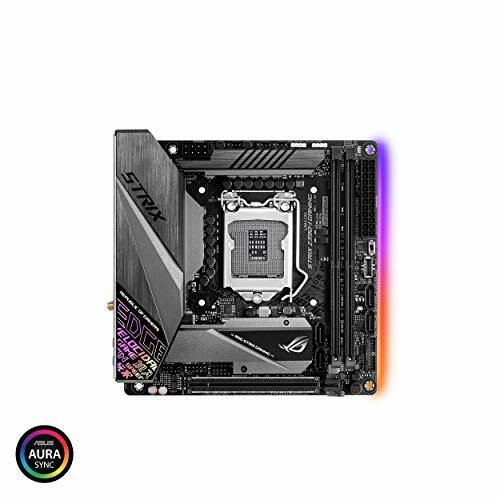 The ASUS ROG Strix Z390-I is a great option for those who need a mini-ITX compatible with both eighth and ninth generation processors. Although it is a small motherboard, it incorporates smart technology five-way optimization to enable overclocking. This motherboard also includes FanXpert 4 technology to prevent overheating. In addition to overclocking capabilities, the motherboard’s signature feature is a “Gamer’s Guardian” deck with safe slot, guards, and DRAM overcurrent protector to encourage longevity. 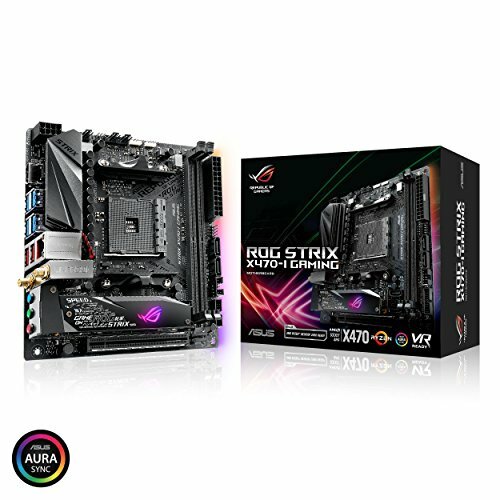 The ASUS ROG Strix X470-I series is ideal for AMD Ryzen 2 AM4 and seventh-generation Athlon processors. Designed for fast connectivity, this wireless design includes dual M.2, USB 3.1, WiFi, and gigabit LAN. In addition, its smart technology auto-tune enables overclocking for your build. A smart cooling system keeps the CPU from overheating, and LED illumination keeps all connectors visible.